Hummus is one of my favorite lunches! And dinners and snacks and I’ve probably made it breakfast too :). This looks delicious, Leanne! Have a great weekend! Thanks Kelsie! Hummus is great with any meal, isn’t it?! Hope you’re having a great week! Thanks Dawn! This hummus has been my after work snack for weeks. Just a bit with some pretzels gets me through to supper! Hope you get to try this bowl soon! Bowl meals are my favorite and I think you know I love me some hummus! 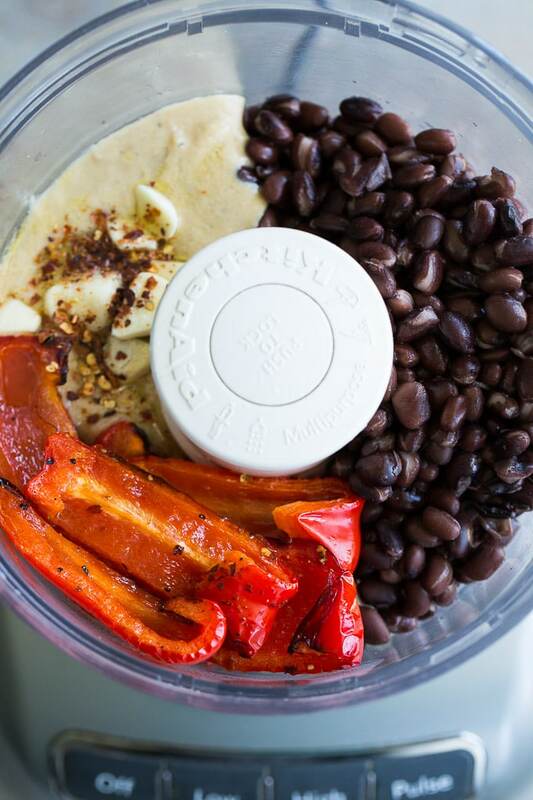 Hummus is a staple in our house, and bowl meals really are the best, especially for meal prep! Thanks Patrick! This looks so delicious! I’m not a big fan of chick peas so the black beans are perfect! I’ve really been enjoying white and black beans in my hummus lately instead of chick peas. They’re a great alternative! I just saw this on IG and almost flipped — this is so creative and I love it! 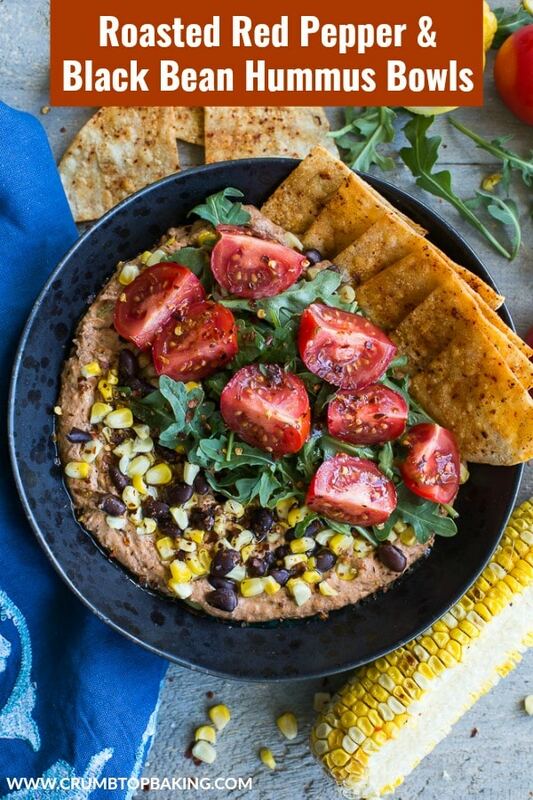 I love that hummus is so easily customizable with whatever type of beans you have on hand and loading it with salad toppings is the best idea possible! Thanks so much Marcie! I love a customizable bowl, especially one that can be loaded with so many salad toppings! Hope you’re having a great week! I can see why this would be lunch! Looks amazing, I love all the flavorful garnish as well. Take care. Thanks Stacey! It definitely makes a filling lunch! Sounds like a plan Kelly! I’m always looking for new taste testers. 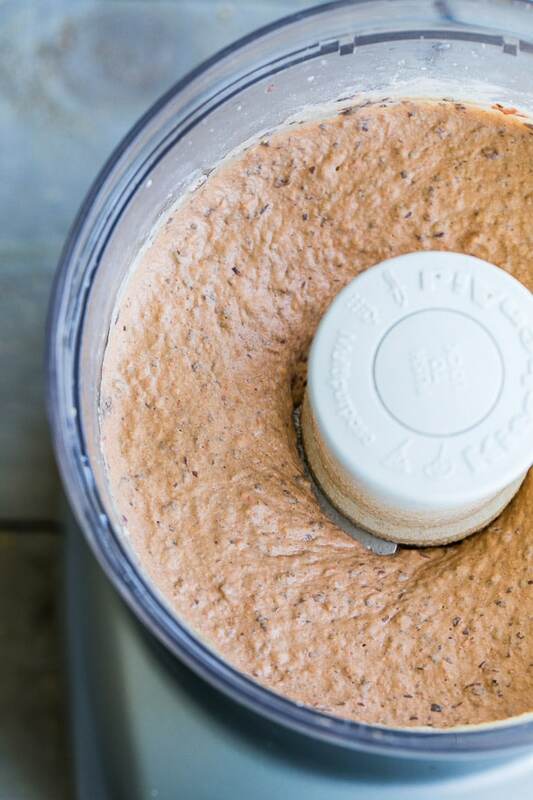 In the meantime, you should totally try making your own hummus! They’re so delicious and easy! Thanks Terry! Spicy recipes are my favourite! I’m so glad you are enjoying them! Well this is a perfect recipe to kick off summer! 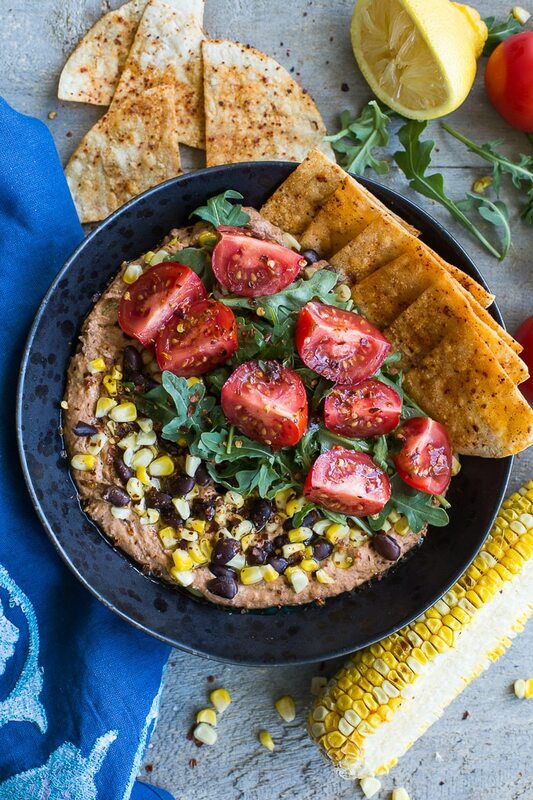 I love hummus and this looks divine! And your photos are absolutely mouth-watering, my friend!! Pinned! Thank you so much Annie! I always enjoy photographing colourful bowls! Can’t wait to try this recipe Leanne! Love bowls like these for lunch – delicious, healthy and fun to eat! Thanks Tanya! 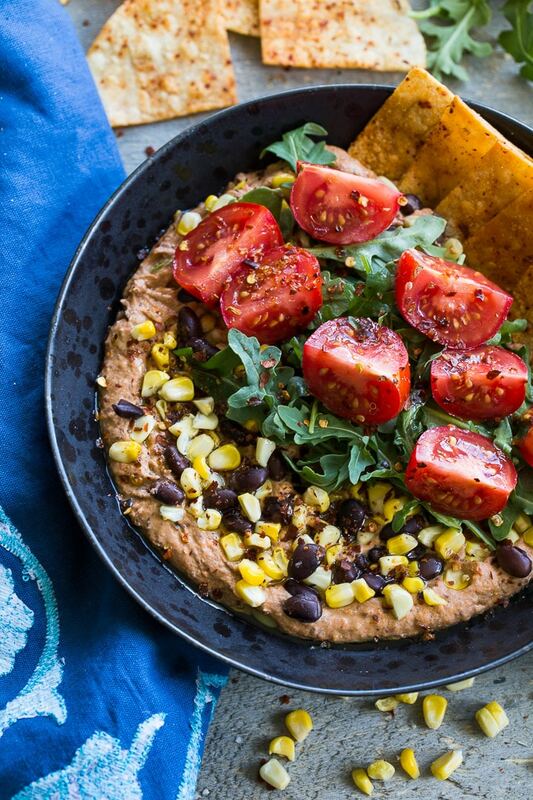 I hope you get to make this hummus bowl soon. Would love to know your thoughts if you do! I should make hummus more often. This one looks especially delicious! I could send it to work with my hubby, too! I’m now in the habit of making hummus every Sunday, and my husband loves taking it for lunches. Anything that is healthy and can be prepped ahead of time works for me!! GAH! 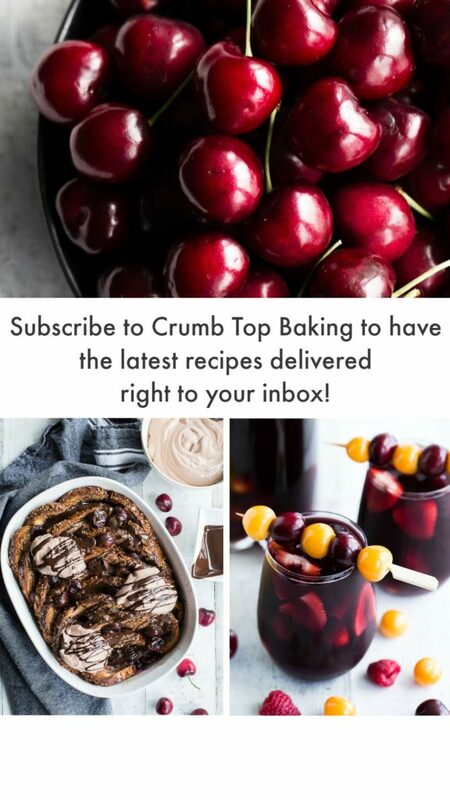 I’m so behind on your blog but this recipe looks amazing! I haven’t gotten around to making homemade hummus before so thanks for the tips! Such gorgeous photography too! 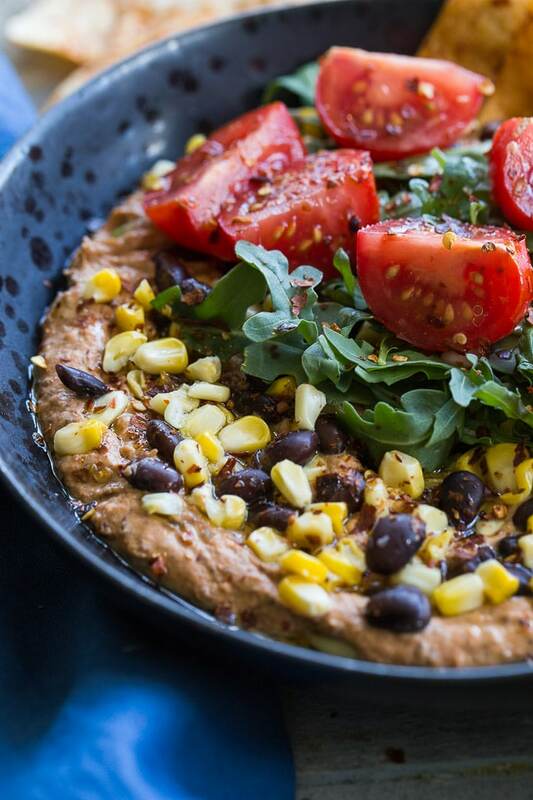 Now that I’ve seen this hummus bowl, I say “move over smoothie bowl!”. This is delicious and beautiful all in one plate! Thank you Nicoletta! I would mostly definitely eat this for breakfast, and it would be a nice change from a sweet smoothie bowl!! I love that you made hummus into bowl form. Pure genius! I am thinking of so many variations now… yummmmm Thanks for sharing Leanne! Thanks Lizzy! 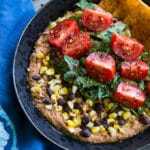 Would love to here about some of the hummus bowl variations you come up with! Have a great week! WHOA – this IS a flavor and texture feast! Gorgeous photos too! Thanks so much Lily! I enjoyed taking photos of this bowl! So much colour to catch the eye! What a beautiful recipe for the summertime! I absolutely love ‘bowls’ for lunches and this is such a great, new option – thanks for sharing! Thanks Jessica! I love bowls for lunch too! They are so perfect for meal prep! Hope you’re having a great week! I just printed this recipe because I am making it this week!! Thanks Camila! Let me know what you think when you make it!